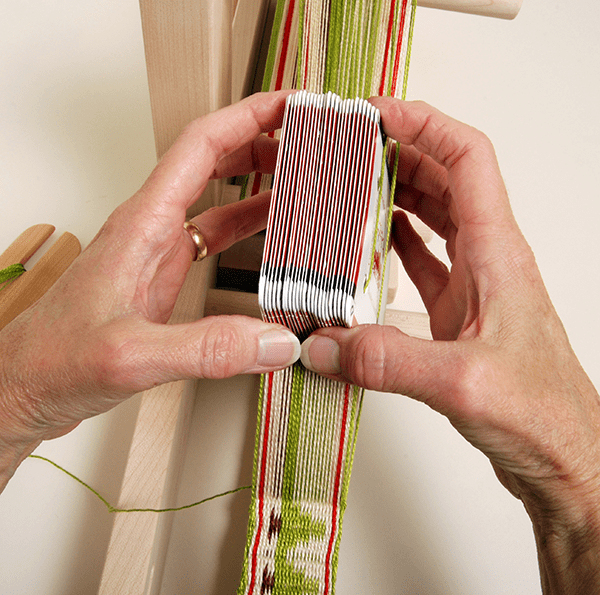 Included with Flip are clamps and a warping peg for direct-loom warping. We include instructions for both direct and pre-measured warping methods. The top cross braces allow long warps, up to 5–6 yards (depending on yarn weight and winding paper), to be wound on the beams without impacting the size of the shed. Flip is available in 15″, 20″, 25″, and 30″ weaving widths, and includes one 5-, 8-, 10-, or 12-dent reed, warping peg, 2 shuttles, 2 clamps, 1 threading hook, and complete warping and weaving instructions.